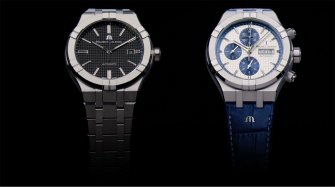 We met Thiébaut Bentz, Marketing and Product Manager for Maurice Lacroix, in Geneva recently, to talk about watch fairs, clients, new buying habits and the jaw-dropping Aikon Mercury. You exhibited in Geneva in January, but we won’t be seeing you in Basel this March. Has Geneva replaced Baselworld? We decided we’d no longer go to Baselworld, because the rate of new product launches has changed in the industry. Given the omnipresence of digital media and social networks, it no longer makes sense to introduce all our new watches at one fair. We have adapted our marketing strategy and introduced a higher launch rate, which more closely reflects the availability of the products in the marketplace. We can also foster a closer relationship with the press and clients by multiplying our presence at local fairs and events. This new strategy ensures we also have something different to say each month, or each quarter, rather than focusing all our communication on a single event. Are you concerned that your absence from Baselworld could have a financial impact? We work with distributors who work directly with retailers. Our distributors saw our products last September, and they’ve already placed their orders. They’re now waiting for their watches. 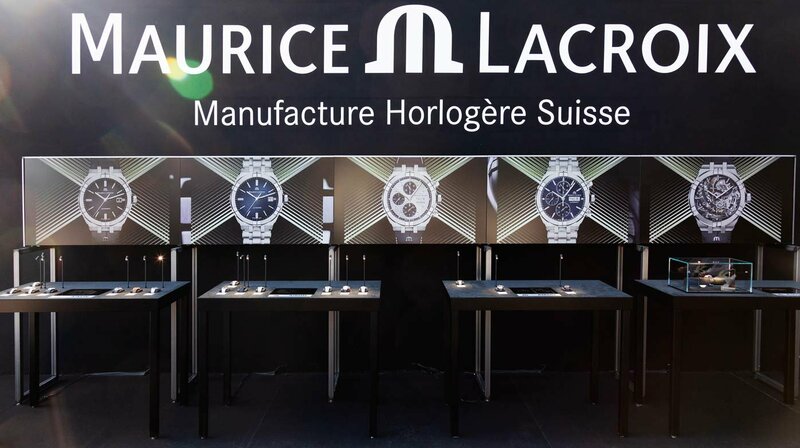 As far as Maurice Lacroix is concerned, Baselworld is more a communication platform than a sales office these days. With the development of digital media and social networks, it makes sense to re-evaluate our attendance. Next year, the SIHH and Baselworld will take place one after the other, in March. Might that give you a reason to consider returning to Basel? 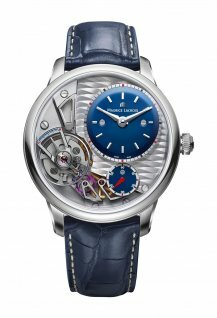 With the recently announced changes, the watch world will be deprived of a launch platform at the beginning of the year. So we’ll have to think about how we want to release our first batch of products in the new year. We haven’t yet decided what our strategy will be, where the big trade fairs are concerned. As soon as we’ve closed our booth here in Geneva, our exhibition will set off on a trip around the world. We will be at Inhorgenta in Munich at the end of February, Malaysia and Hong Kong in March, Japan, the US, London, Madrid and Moscow, to present our new designs throughout the first half of the year. Our aim is to be closer to our clients and to the press. You’re reaching out to your customers through exhibitions, you’re very active on social media, you have an e-shop and you organise Black Friday type events: is this a new marketing approach? Yes, our clientele is significantly younger than it was. 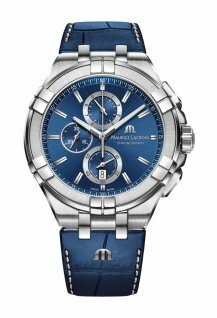 Maurice Lacroix has always been a rather conservative brand, but with the introduction of the quartz Aikon in 2016 and the automatic in 2018, we reduced the average age of our customers significantly. 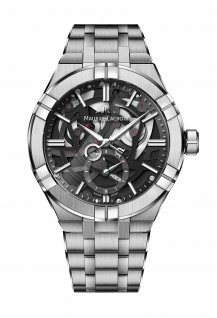 It’s also thanks to our price range of 1,000 to 3,000 Swiss francs, which is very affordable for a high-quality Swiss Made watch. 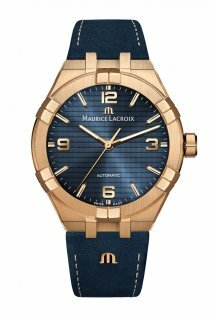 Maurice Lacroix is finally regaining the status it had in its glory years, in the 1990s: that of a Swiss brand offering unequalled value, with very broad appeal. And this new generation of clients, whether young or not quite so young, sometimes buys online in 2019. Most of our products are available online in Switzerland and the United States, and online purchasing will soon be available throughout Europe, and then Asia. The average price of online purchases continues to climb. That’s how we consume these days. But we always give priority to physical contact, and we guide our clients to the shops of our multi-brand retail partners. Our partnership with retail outlets is important. We’re not a monobrand boutique company. It’s also interesting to note that our retail partners are operating increasingly successful online stores of their own, which confirms the growing trend for customers to buy online. We developed the idea in-house. 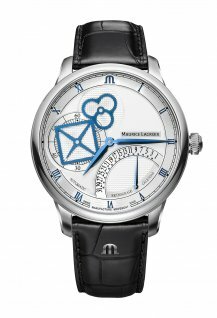 The watch uses a system of feeler-spindles, similar to the mechanism of a retrograde display, which is a very common complication for Maurice Lacroix. The idea is simply to be able to forget about the time. Because, fundamentally, you only need a time display when you want to check it. It’s like taking your phone out to look at the time. It’s a fun approach, and a completely mechanical one to boot. Putting it simply, the watch displays the time when you turn your wrist to look at it. When you drop your wrist, the hands uncouple from the mechanism, gravity takes over and they swing free. The next time you need to look, a cam-driven memory system ensures that the hands can display the new time (watch the video). 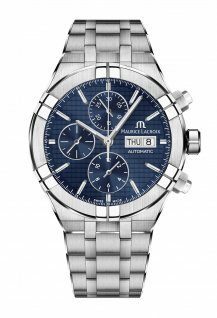 Continually reinterpreting the way we tell the time is part of Maurice Lacroix’s DNA. We saw it with the Seconde Mystérieuse, the Square Wheel and Gravity. In a way, this is the latest generation of what we call our “laboratory” pieces. For the first time, we’ve put it inside an Aikon case, because we thought that was the appropriate setting for this quirky watch. Is Aikon the spearhead of your brand? Yes, it is the face of the brand. In fact, we have three pillars. The Masterpiece collection embodies our watchmaking expertise, innovation and technology, and it’s also a way for us to express our identity as a watch manufacture. 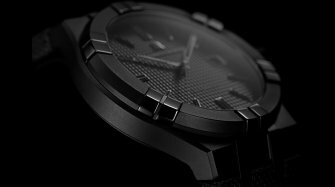 Aikon, which we have just launched in a phenomenally successful automatic version, as well as the quartz version, is our calling card. It’s the heir to the Calypso, which was a bestseller in the 1990s. 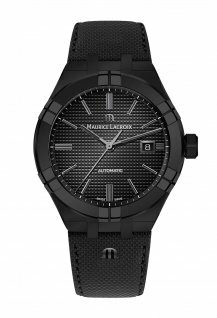 And finally we have the entry-level quartz collections, which enable us to target a younger clientèle looking to Maurice Lacroix for an entry into Swiss Made quality. 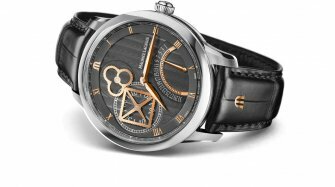 This approach is less horological, and more about design, fashion, stylish colours, well-made straps and interesting displays. 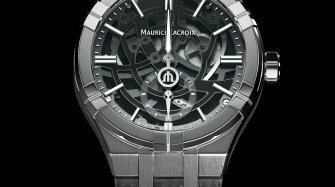 What does Maurice Lacroix have in store for 2019? At the end of February, at Inhorgenta, we will launch a new model based on an Aikon, but a bit sportier. It’s a strategic launch. Later in the year we’ll be revealing some women’s models, and in the second half of 2019 you’ll see some Masterpieces with wonderful dial animations, in true Maurice Lacroix tradition.